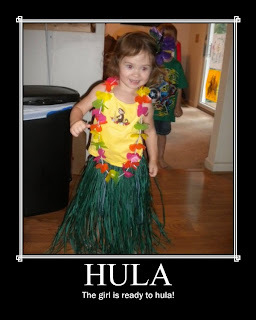 Our daughter loves to dance, especially hula! She enjoys creating different stories with her hands and swaying her hips along with the rhythm of the music. She also finds the rustling sound of the grass skirt very amusing. What type of dance is your favorite? Share with us at nightlightstories@gmail.com or on our Facebook Fan Page.